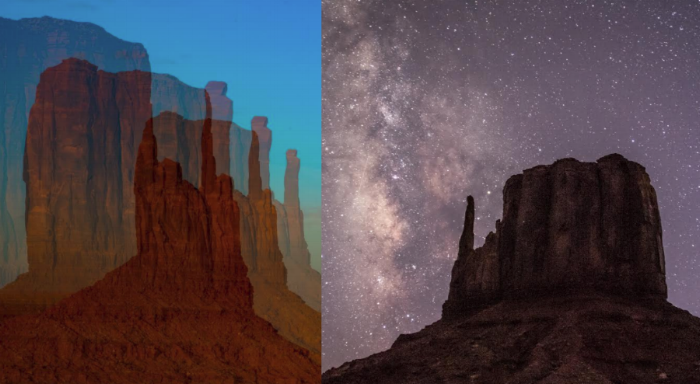 Since I live in Monument Valley I know almost everything about it so I am going to let visitors know what everyone is curious about when they visit, such as where to eat, where to stay, what to do, what is there to photograph, how can I book a tour, etc. I hope this is helpful. There are so many tours companies in Monument Valley. I work for Majestic Monument Valley Tours and it is a very high quality economic tour company with very good service and economic prices, a company that really cares about the customer. When coming to Monument Valley it is best to call ahead and book a tour, otherwise you may be scrambling at the last minute and I hate to criticize the way the tour booking is done at the Tribal Park Visitors center parking area booth, but when visitors ask about a tour, they sell you on the backcountry tour, which is often about 2-2&1/2 hours in which they will hurry you through major points and expect you to pay high dollar, maybe around 75$-125$'s for a tour that Majestic Monument Valley Tours can offer around 50$'s as a 3 hour non-private tour, but they offer private tours as well that go from 95$-125$. The image is a map of Monument Valley, You can click on it to make it larger, the X's mark areas where you are able to stay, Hotels, Motels, AirBnB, Campgrounds, & RV parks. A nice place to camp which can be free are areas by Mexican Hat, UT, which is 30 minutes from Monument Valley. You can camp inside of Valley of the Gods, Muley Point(you have to drive up switch backs to the top of the mesa, an amazing view, just type in Muley Point on your google maps and that should take you to it. You can also camp around Mexican Hat and Goosenecks State Park. Monument Valley is an amazing place to photograph, also very easy. Let me give you some of the many options you will have. I would say the easiest thing to do would book tours in Monument Valley with Photography emphasis or simply drive anywhere you can and pull off on any pull off you can on the highway. The 17 mile loop inside of the Monument Valley Tribal park is an amazing place to shoot, you can drive it on your own but the road may be rough is some areas, but I see people driving it in their own cars. Sometimes I hear them bottoming out, but if you have a SUV it should be no sweat. The 17 mile loop could take 1-2 hours. There is also a trail that goes around the West Mitten called Wildcat Trail, which I highly recommend, and this will take about 2-3 hours to hike, maybe less if you are in good physical shape. There is also another hidden area that is fun to tour and photograph called Mystery Valley which includes exploring the ancient Anasazi areas where they once live and four wheeling through deep sand washes and canyons of Navajoland often seeing Arches and beautiful red sandstone formations. Teardrop is a nice place to photograph, there is a waterfall that is nice to shoot that is located by Oljato. Let me know if you have any questions or need some advice for your trip. When cruising to Monument Valley Tribal Park, either from Kayenta, AZ, which is south from Monument Valley, or Mexican Hat, UT, which is North, you will come upon an intersection, remember to make the correct turn, because there may be a Welcome center before or after, depending on which way you are coming from. And so from this turn you will start on this road to the Tribal park for about 3 miles until you hit a Toll booth where you will need to pay for you Tribal park pass. A park pass will differ depending on what type of vehicle you will have(motorcycle, bus, or Car/Truck/SUV) and how many people will be in your party. I believe it is about 20$ for 1-4 people and 35$ for 1-6 and once paid the pass will be good for 3 days. Be sure to hold onto your ticket to show if going in and out of the toll booth area. I recommend trying some frybread when visiting Navajoland, oh, what is frybread you are probably thinking? Frybread is what it sounds like, a tortilla fried in oil that only Native Americans(Navajo) can make that will taste so good, especially with tacos, roasted mutton(Navajo Favorite) and makes as a good dessert with honey. When coming thru to Monument Valley your options are limited with so-so restaurants: Gouldings Stagecoach Diner located at Gouldings, Ut, and The View Hotel Restaurant inside and connected the Monument Valley Tribal park Visitors Center. If you are trying to cookout on your own there is a grocery store at Gouldings/Monument Valley, and also a deli connected to a gas station that is right by the grocery store, and a laundrymat. What to do around Monument Valley?